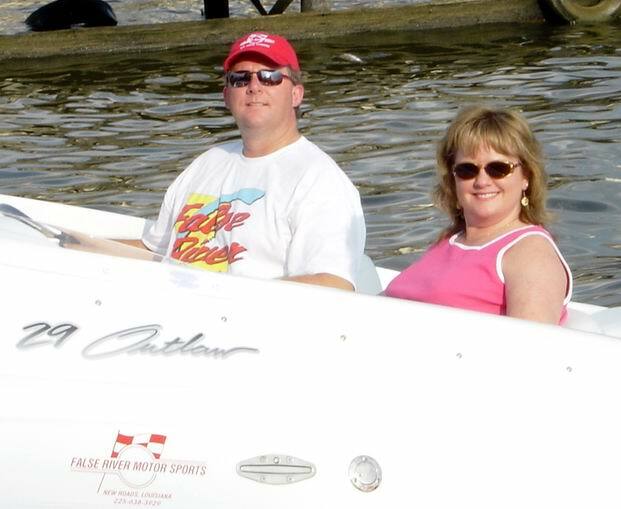 Todd and his wife are from Lafayette, LA and spend most of their boating time on False River, just north of Baton Rouge. They have recently upgraded their summer home on the water where they gather with their many boating friends on the water. We got a chance to spend some time with them during the recent False River Top Gun competition. Todd's 29' Outlaw was the start boat for the event. 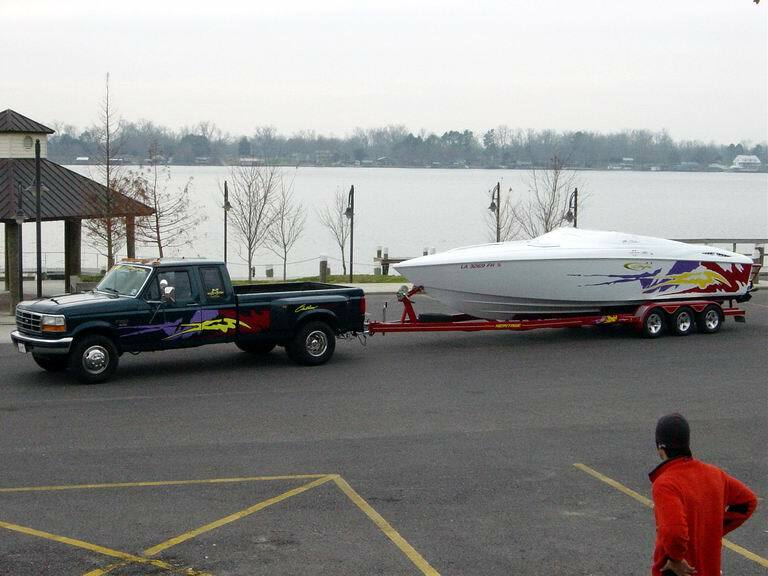 The Boat is a 2003 Baja 29' Outlaw from False River Motorsports. It is powered by twin 496 Mercs. and bravo drives. The boat was recently seen in Baja Magazine. You can get a copy at your local Baja dealer. Todd gets reading of around 74mph on the GPS. 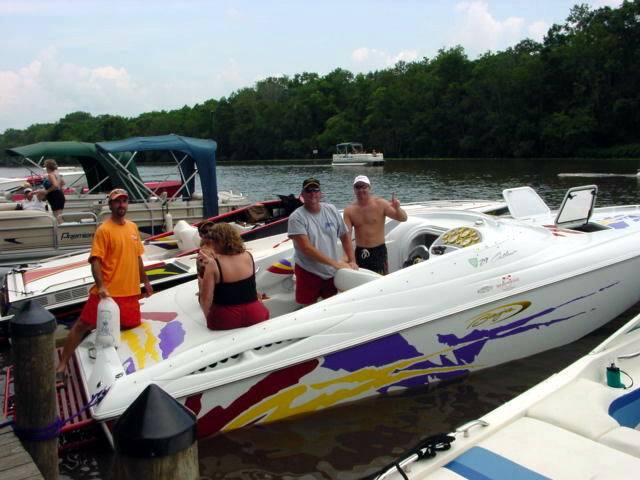 Todd also makes it over to Lake Ponchartrain for events like The Royal Purple Poker Run. 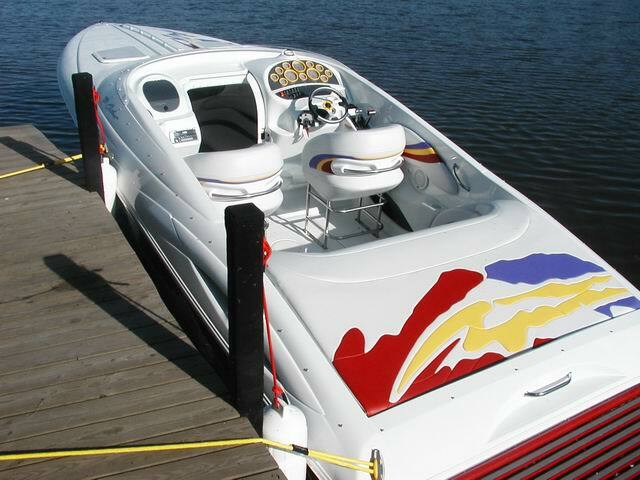 As true Gulf Coasters, They also spend time boating the Gulf Coast in Florida, Mississippi, and Alabama.